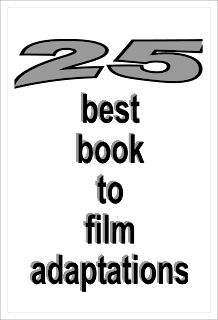 MY BOOK, THE MOVIE: Edward Humes's "Burned"
Edward Humes is a Pulitzer Prize-winning journalist and author whose books include Garbology, Mississippi Mud, and the PEN Award-winning No Matter How Loud I Shout. 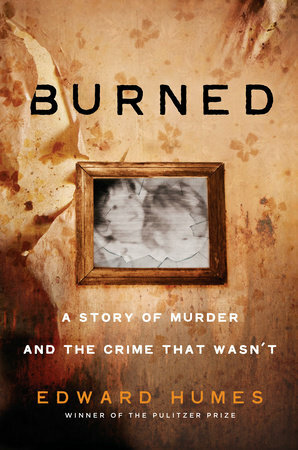 There are two leading roles if Burned were to be made into a movie: The character of Raquel Cohen, attorney at the California Innocence Project, and her client, Jo Ann Parks, who has been in prison for more than half her lifetime, convicted of killing her three children by setting fire to their home and trapping them inside. Cohen is trying to prove Parks innocent and, in the process, expose the failings of forensic science used in thousands of other cases. My choice to play the brilliant, quirky, cynical yet idealistic Cohen is either Jessica Biel, who was mesmerizing in The Sinner, or Homeland star Claire Danes, who can basically do anything. It’s a toss-up: Either would be fantastic. For her chameleon-like ability to become anyone, and to blur into ambiguity the line between innocence and guilt, I would want Charlize Theron to play Jo Ann Parks. That would be the Theron from Monster, not Atomic Blonde (though don’t get me wrong -- I loved Atomic Blonde). There are a couple of juicy pivotal supporting roles I think actors would relish: Jo Ann’s creepy husband, Ronald, who was the original prime suspect in the fire, would provide wonderful fodder for Edward Norton. And my pick to play the fire scientist who becomes certain Parks was wrongly convicted, Dr. Greg Gorbett, is actor Chris Pine, the current incarnation of James T. Kirk. Why? Because the good doctor is a dead ringer for Pine. Or vice versa. And he has the kind of forceful personality necessary to declare that the original fire science experts got it wrong, and that not only did they falsely accuse and convict Parks, but that there is no evidence that any crime was committed at all. Chris Cander's "The Weight of a Piano"
Mike Chen's "Here and Now and Then"
Molly MacRae's "Crewel and Unusual"
Mark Alpert's "The Coming Storm"
Eyal Kless's "The Lost Puzzler"
Leslie Archer's "The Girl at the Border"